The View – a new project consisting of 59 modern, contemporary apartments. 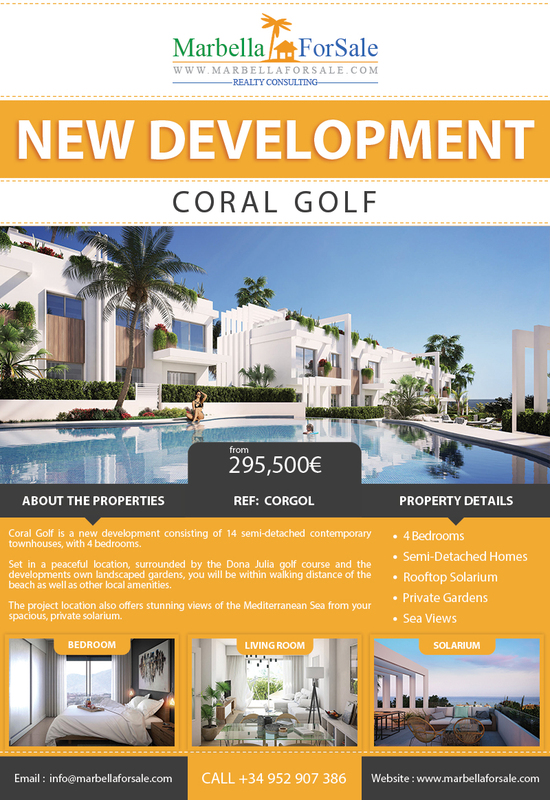 There is a choice of 1, 2 or 3-bedroom properties, boasting spacious interiors and generous terraces. 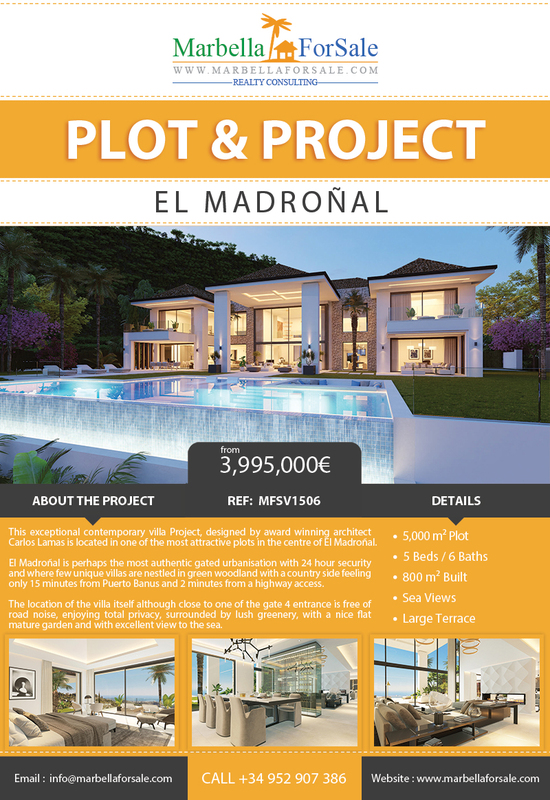 Marein Village is a new project of luxury townhouses in the exclusive area of Los Naranjos de Marbella. 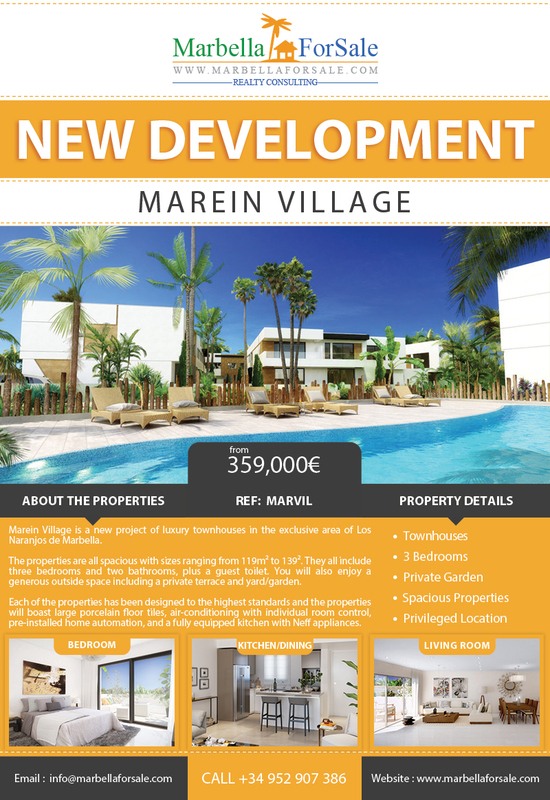 Marein Village is a new project of luxury townhouses in the exclusive area of Los Naranjos de Marbella. 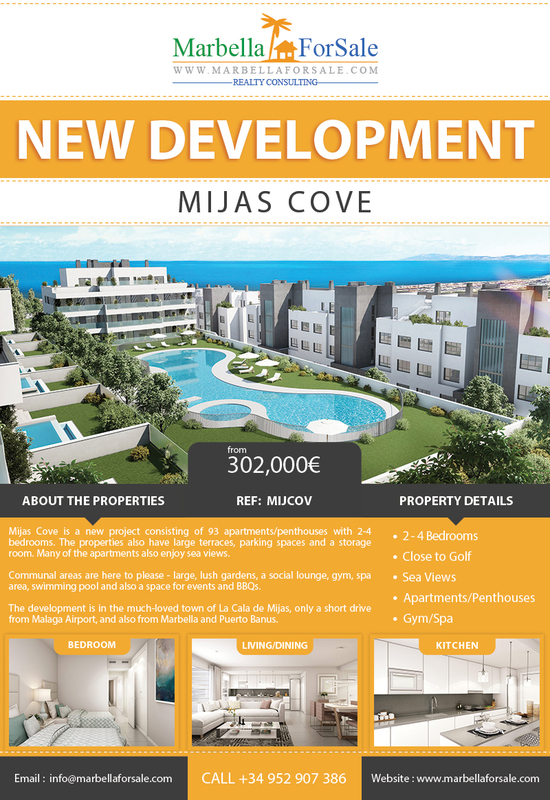 The properties are all spacious with sizes ranging from 119m² to 139m². Each property includes three bedrooms and two bathrooms, plus a guest toilet. You will also enjoy a generous outside space including a private terrace and yard/garden. 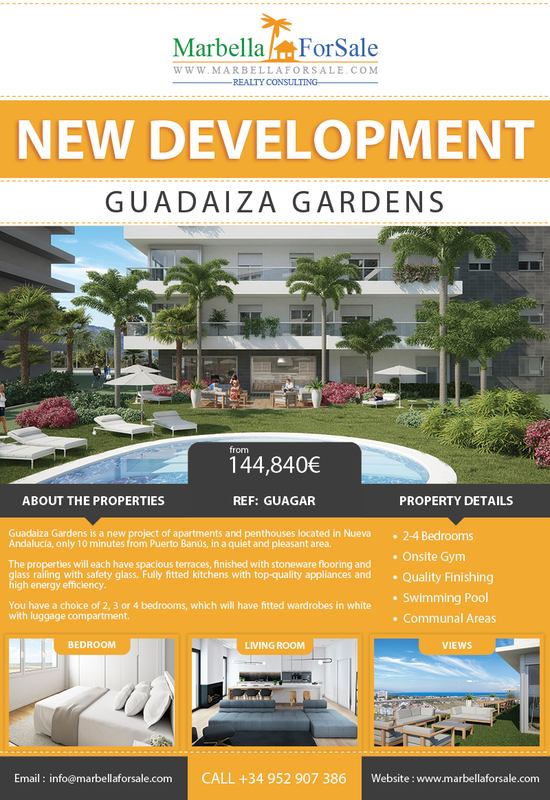 Guadaiza Gardens is a new project of apartments and penthouses located in Nueva Andalucía, only 10 minutes from Puerto Banús, in a quiet and pleasant area. 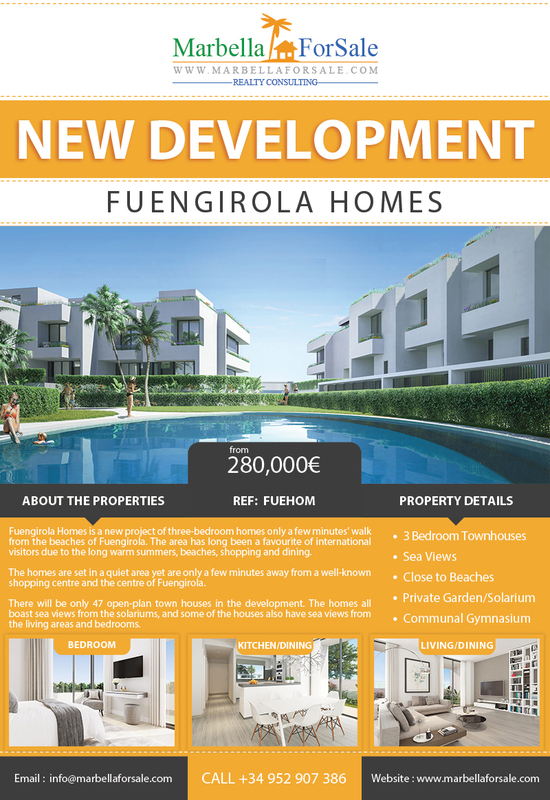 The properties will each have spacious terraces, finished with stoneware flooring and glass railing with safety glass. Fully fitted kitchens with top-quality appliances and high energy efficiency. 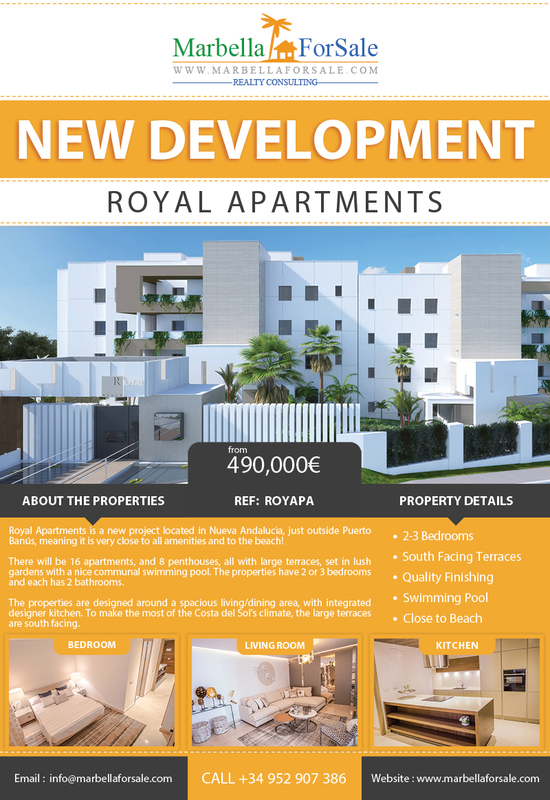 Royal Apartments is a new project located in Nueva Andalucia, just outside Puerto Banús, meaning it is very close to all amenities and to the beach!